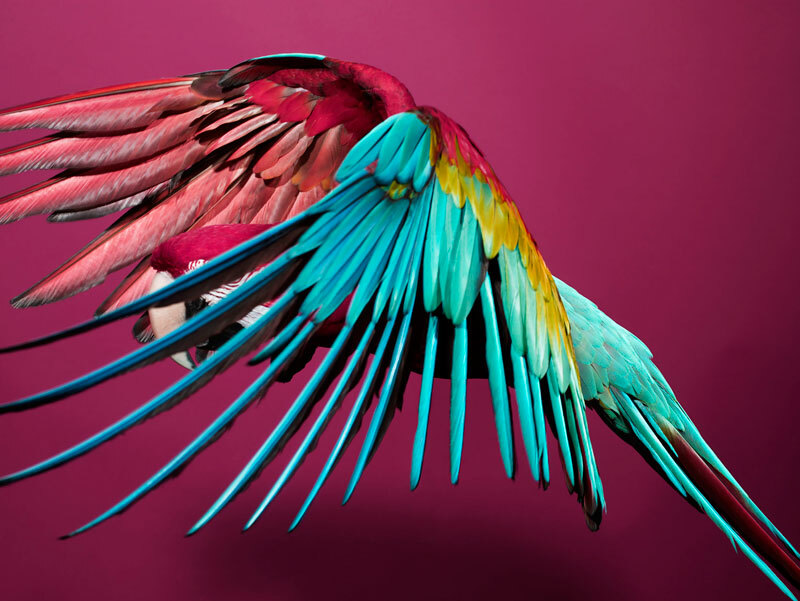 Inspired by science photography and nature documentaries, Norwegian fashion photographer Sølve Sundsbø produced an art exhibition called Perroquet, comprising a stunning series of photographs and slow-motion videos showing the spectacular plumage and graceful movement of a slender, long-tailed parrot in flight. This particular subject matter couldn’t be more removed from Sundsbø’s lavish editorial spreads and striking campaign imagery, although his reasons for choosing this particular species do, in a way, relate to fashion. 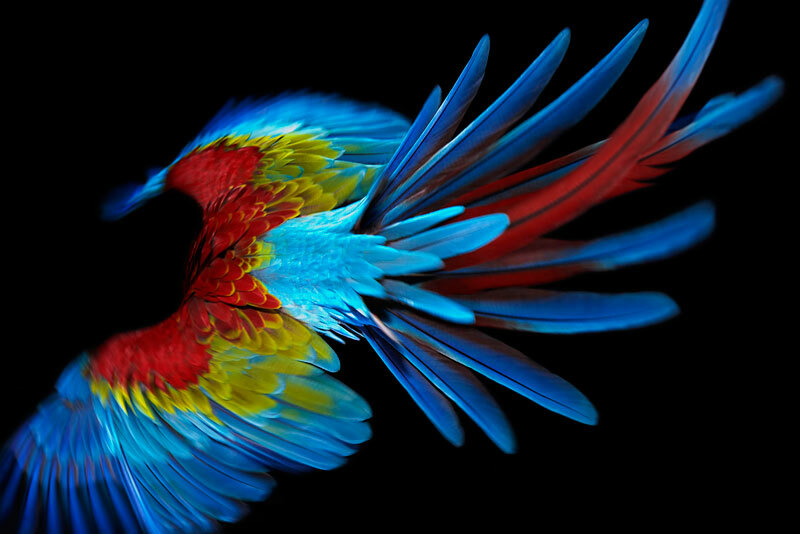 Possessing almost sartorial qualities, it was the bird’s trademark vibrant plumage that piqued the photographer’s interest. Sundsbø looks to this as fashion on an evolutionary scale: compared to the fast-paced, demanding nature of the fashion calendar and the many ‘looks’ each season produces, this creature’s stunning ‘outfit’ has taken centuries to develop. It was always Sundsbø’s chief intention to document the parroquet [sic] using photography and film; both mediums enabling him to steal moments that would normally be missed. … The photographs present ‘frozen moments’ of the bird’s journey; rather than showing its full body, the cropped viewpoints bring abstract qualities to Sundsbø’s powerful images. One thing that strikes me about this project is the unusual and satisfyingly elegant way that it brings together domains normally dealt with by people using different languages and techniques: that is, in my mind at least, the nature documentarian and fashion photographer seem almost to inhabit different worlds. But here, Sundsbø brings his studio skills to bear on a natural marvel, taking fashion and nature — processes typically, and reasonably enough, placed at opposite ends of the temporal spectrum, as in Stewart Brand’s “layers of time” diagram — and putting them on the same footing. Generally speaking, nature may move at a rate orders of magnitude slower than fashion, but that inexorable evolutionary process somehow contrives not merely to keep pace with fashion’s breathless pursuit of beauty, but indeed to remind us, time and again, what beauty is.